The latest issue of the Harold Pinter Review has been published. Click the image to the right for the list of articles in the current issue. The Review is seeking journal articles for its next issue, with submission due in January 2018. 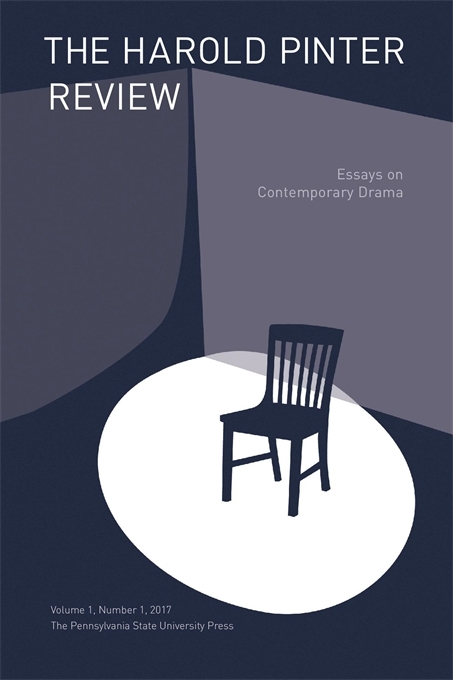 Essays on Pinter are welcome, but we would like to encourage essays on other modern and contemporary dramatists for this issue, as well. For more information contact ann.hall@louisville.edu. As a paid-up member of the Harold Pinter Society, you receive a copy of each new volume of The Pinter Review, a collection of essays, reviews, and primary materials on the works of Harold Pinter. The Pinter Review is published in conjunction with the Harold Pinter Society. The mission of the journal is to publish peer-reviewed critical essays, reviews, interviews, and discussions of the varied works of Harold Pinter and other contemporary playwrights. The journal will be available electronically and in print form. were the last volumes to be published by The University of Tampa Press. 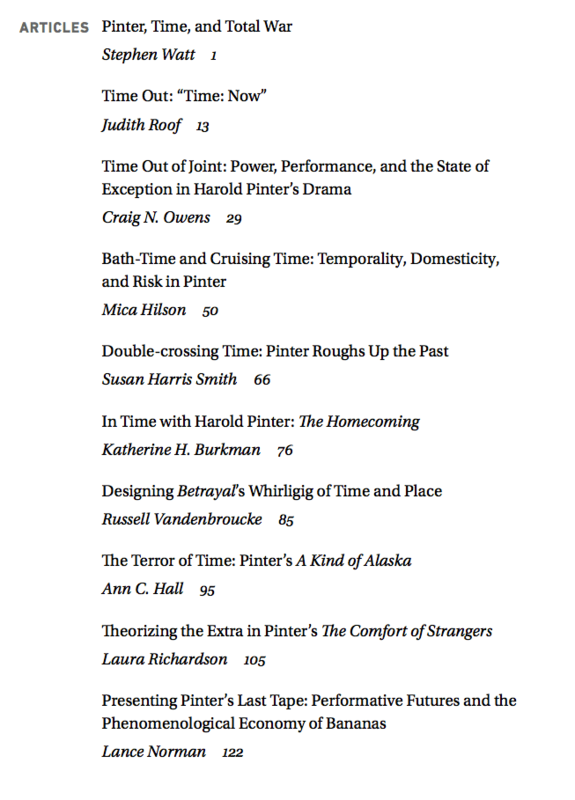 For previous issues of The Pinter Review, contact U of Tampa Press at 011 (813) 253-6266.